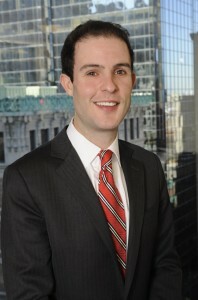 Tucker D. Greene joined Greene LLP as an associate in 2013. He specializes in the firm’s False Claims Act practice, including health care and public utilities cases. Mr. Greene’s experience as a trial attorney is of particular use to the firm, as it frequently pursues declined False Claims Act cases brought by whistleblowers. Prior to joining the firm, Mr. Greene worked as an Assistant District Attorney for the Cape and Islands District Attorney’s Office. During his tenure in the District Attorney’s Office, Mr. Greene handled a wide variety of criminal cases and argued numerous evidentiary and non-evidentiary motions. Mr. Greene also tried dozens of both jury and non-jury cases in state court. Mr. Greene received his law degree from Suffolk Law School. He obtained his B.A. in History from Boston College in 2007. Mr. Greene is an avid golfer and pianist.